Tickets are still available at Slayton House for Searching for Spring on Saturday, April 1, 10-11:30am. Tickets are free and only children need tickets. There will be an egg hunt, craft making and a magic show. Wilde Lake residents can pick up tickets at Slayton House. For more information, call 410-730-3987. 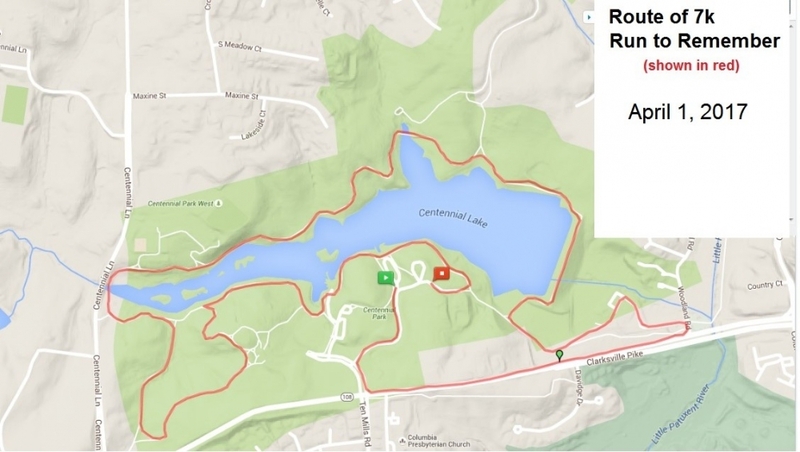 The race will begin at 8:00 a.m. and runners and walkers will exit the south entrance (opposite of Ten Mills Rd.) and head eastbound on MD Route 108. They will turn north on Woodland Rd. and then immediately access the park’s pathway system. Once the runners/walkers exit from Woodland Rd., the balance of the race is along the pathways of the park. There will be no further impact on roadways outside of the park. Please note if you live in the Running Brook neighborhood as you may be temporarily impacted as runners and walkers traverse this short section of MD Route 108. Below is a map of the route of this event. Saturday, April 1: Fools for Fitness 5k at Druid Hill Park - 8:00 A.M.
Saturday, May 20: Mom's Day 5k at Middle Branch Park - 8:00 A.M.
Sunday, June 11: Dad's Day 5k at Rash Field Inner Harbor - 8:00 A.M.
Saturday, July 29: Rec & Parks Run 5k at Carroll Park - 7:30 A.M.
Sunday, Aug. 27: Family Fun Field Day 5k at Rash Field Inner Harbor - 7:30 A.M.
Saturday, Sept. 23: Fall into Fitness 5k at Jones Falls Trail, Cylburn Start - 7:30 A.M.
Saturday, Oct. 14: Zombies Zoom 5k at Gwynns Falls Trail - 8:00 A.M.
Sunday, Nov. 19: Trot the Trail 5k at Herring Run - 8:00 A.M.
Saturday, Dec. 9: Reindeer Run 5k at West Shore Park Inner Harbor - 8:30 A.M.
$5 5K Series 2017 BCRP is proud to announce the 2017 $5 5k Series! Now in our second year, we’ve added 5 new race events to our lineup. Grab your family, friends, co-workers and fellow park enthusiasts to enjoy one of our 9 city-wide 5k events taking place in Baltimore Parks April - December. Runners and walkers alike will enjoy the fresh air, community engagement, fitness and fun. ALL proceeds for the $5 5k series goes towards city-wide park programming. Each race is only $5!! T-shirts are available for purchase for an additional $15. To register visit tinyurl.com/BCRP5KSeries! Sign up for the entire series of 9 runs for $40 ($5 savings). Interested in volunteering or sponsoring an event? Please contact Cortney.Weinstock@baltimorecity.gov with any event questions and inquiries. Do you desire to start living life on your own terms? Is it time for you to finally create a life that aligns with your passion and purpose? Have you been sitting on the sidelines of your life, allowing fear to win? Have you been longing to meet like-minded professionals and small-business owners who have big dreams for their lives and are finally stepping out? Join us for a 1-day LIVE workshop and networking event that will inspire you to see your authentic and amazing self, to begin to live your life on purpose, and to come out of the shadows and share your brilliance with the world! Looking For A Fun And Educational Way to Help Your Daughter Experience College Life? Our annual Spring Break College Tour is finally here! This amazing opportunity is 5 days’ worth of self-discovery where girls explore college campuses to see which schools appeal to their academic and professional goals. Don't miss your chance to participate in this exciting 5 day tour! For the third year in a row, “Death with Dignity” bills to legalize physician-assisted suicide (PAS) were considered by the Maryland General Assembly. So far, these efforts have been unsuccessful, but even people who see the reason in such laws can take comfort in knowing there are more rationale and ethical alternatives to PAS. On Sat., April 1st, 2 - 4pm, Christ Lutheran Church will be hosting a free educational outreach presentation for the community that will focus not only on the alternatives to PAS and the Christian perspective, but also the non-spiritual “rational” response to the narrative that PAS is a compassionate option and individual choice. Faith-based arguments alone are unlikely to sway secular-minded supporters of PAS, including politicians and national organizations that push for state-by state legalization. Visiting presenter Rev. Joel Gaertner testified last year as an expert witness before the Minnesota state legislature when they were considering legalization of PAS. His work with the developmentally disabled and those at the end of life has given him valuable insight into how PAS puts the disabled, in particular, at risk. Our church is located at 12570 Clarksville Pike/MD 108 (just south of Guilford Road near Rte. 32) in Clarksville, MD 21029. For more information about our speaker and program, please visit our website. Saturday, April 1, 2017 from 10:00a.m. - 3:00p.m. The Howard County Health Department is holding a free Public Health Matters - Public Health is YOUR Health Health Expo Saturday, April 1, 2017 from 10:00a.m. - 3:00p.m. There will be giveaways and raffles, childhood immunizations, STI/HIV testing, naloxone training, blood pressure screening, BMI checks and more. Celebrate Spring at Ellicott City’s only public historic garden-park run entirely by volunteers -- the tenth annual Whipps Daffodil Day takes place from 10 to 3 p.m. Saturday, April 8, 2017 at 3651 St. John's Lane, in Ellicott City. The Woodland Theater will feature the Camerata Musica Madrigal Singers, horticultural talk “Bulbs that Introduce and follow Daffodils” by Master Gardener Judy Petersen, and a new Daffodil Demonstration Garden. A guided tour will highlight several recent Eagle Scout projects and restored cast iron decorated gravesite. Potted tete a tete daffodils, hyacinths, tulips, hellebores, epimediums and Virginia bluebells will be sold. There will be a raffle at 3 p.m. Free Admission. The park is today maintained by the Howard County’s Master Gardeners and is open to the public daily. It is owned by a non-profit organization, The Friends of the Whipps Cemetery and Memorial Gardens, Inc. Begun as a family burial ground in 1855, Whipps is no longer an active cemetery; the last burial was in 1915. Proceeds from the sale will benefit the Whipps Cemetery, a non-profit organization. The Howard County Master Gardeners will be on hand to help answer your plant and gardening questions. For more information, Call or text Aleta Gravelle at 410-274-7795 or email agravelle@verizon.net. During this workshop, attendees will be immersed in the world of beekeeping including foundational beekeeping knowledge such as bee life-cycle, hive dynamics, and bee production. The workshop is geared towards nature lovers, potential beekeepers, and volunteers who want to learn more about these effective little insects. Also, this will be a STING free event :) Participants will better under the symbiotic relationship between pollinators and TALMAR to help ensure succulent produce and vibrant flowers. Dr. Andrew Mangle will be conducting this workshop. He serves as TALMAR's lead apiarist and has been studying bees and their habitats for years. Admission is FREE FOR KIDS (under 12) and $15 for adults - TALMAR members can save 20% on this event. Join now! Directions: From I-695 take Exit 29 A for Cromwell Bridge Road. Drive about a mile (Loch Raven High School will be on your left) and turn left at the "Sherwood Farms Entrance" (if you pass the park's "Willow Grove" entrance, you've gone too far). Make a left when you see signs for TALMAR. Leave behind the hectic pace and distractions of everyday life. Settle into the serene environment of the World Peace Temple and immerse yourself in developing a calm, clear mind through guided meditations and practical instructions. In this environment, it is easy to discover a deep happiness that arises naturally from within and carry it with you back to your daily life. There will be time to relax in our World Peace Café and enjoy the delicious and healthy snacks and light meals, freshly brewed local coffee and a wide assortment of teas. The morning sessions will be silent so you can focus within until lunch. This retreat will be guided by Kelsang Chondzin. Kelsang Chondzin has been studying Dharma for over 13 years and ordained for 11 years. She studied under Gen-la Dekyong at KMC New York and Manjushri KMC, England. Chondzin is known for her humor, kindness and practical teachings. Half Day Cost: $25– or $20 for early registration (by Apr 5th), students, seniors 60+, and unemployed.- Doesn’t include Lunch, but you can purchase lunch in our World Peace Café. Register on-line by clicking here. Lunch availability only guaranteed for those who pre-registered online. Don’t miss this premier Baltimore event featuring gourmet dinner, cocktails and dancing to the sounds of local band, Highway Star, on April 8th from 7pm-10pm at the Baltimore Marriott Waterfront Hotel (700 Aliceanna St. Baltimore, MD 21202). The highlight is the exciting Dancing Stars competition – among individuals and couples chosen for their leadership in the community and their support of the Alzheimer’s Association. The contestants will vie to win the You’re Our Star Trophy for “votes” tied to donations ($1 per vote) and the Judges’ Choice Trophy – from celebrity judges – for best dance. Admission is $350/person or $3500 for a table of 10. To purchase tickets, vote for the Dancing Stars or learn about sponsorship opportunities, visit alz.org/maryland or call or 410.561.9099, ext. 230. Over the past decade, Memory Ball has raised more than $5 million to support caring services of the Alzheimer’s Association and critical research for a world without Alzheimer’s disease. More than 5 million Americans are living with the disease, with 100,000 in Maryland alone. Alzheimer’s is currently the only cause of death among the top 10 in America that cannot be prevented, cured or slowed. All five of the original members of The Ravyns will be on-site at the Hard Rock Cafe Baltimore on April 11th from 5-7:30 pm. They will perform an acoustic set and also be available for meet and greet and autographs. We will also have a “Selfie Station”. All pictures from the night will be on 100.7 The Bay Photo Gallery on-line where everyone can download their memories from this special night. Join HopeWorks, PFLAG Howard County and the Howard County Police Department for a candid conversation about sexual and intimate partner violence within the LGBTQ community. Ask questions, hear real stories and learn how local organizations are working together to create meaningful partnerships to eliminate these forms of violence. Questions? 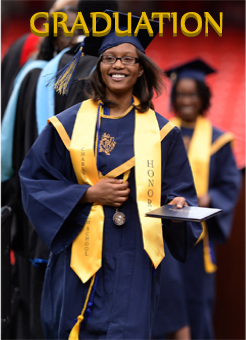 Contact Vanita Leatherwood at outreach@wearehopeworks.org or call HopeWorks at 410-997-0304. No RSVP is necessary. Tickets start at $15 for a single admission and include breakfast and the egg hunt. Children under two are free for breakfast and the egg hunt with a paying adult. Combination passes that include three hour access to attractions will also be available (online only). All are welcome. Kids can enjoy crafts, face-painting, the Easter story and more. 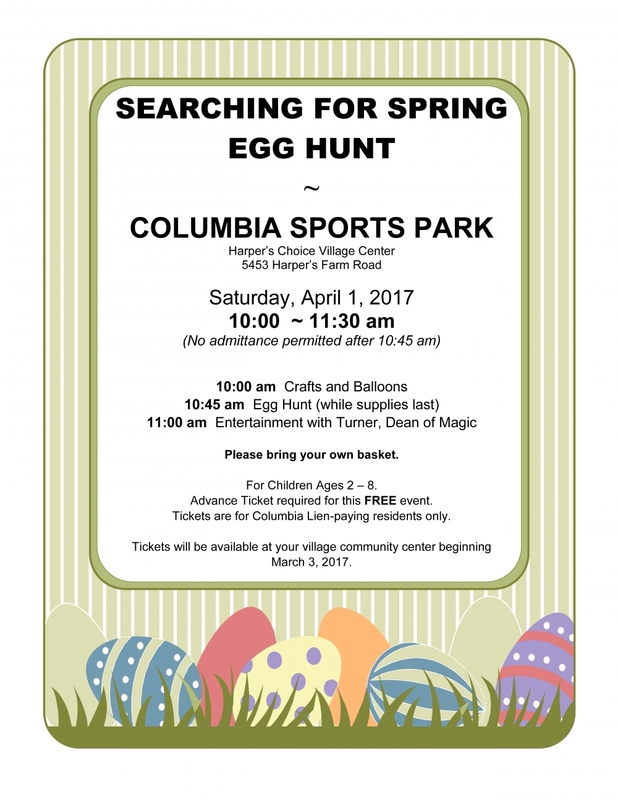 There are 2 egg hunts - one for elementary-aged kids and the other for kids younger than kindergarten. Free. Please bring your family, friends, ands loved ones out to celebrate with us. We will enjoy games, face painting, cookie and egg decorating, food, a mini raffle, and most important the Easter Egg Hunt. Saturday April 15, 2017 from 12-3pm at New Haven Baptist Church 29 Fourth Street, Laurel, MD 20707. We can't wait to see you there. This is a free event but please bring your own basket for the egg hunt. Saturday, April 15 from 11 a.m. to 4 p.m. It is a fun event where children ages 3-12 years old sign up for an age specific time slot to participate in crafts, our egg hunt in the water, and an afternoon of swimming! Adult supervision is required for all participants. Children 5 and under must be within arms-reach of an adult. The event cost is $10 residents / $13 non-residents (one adult admission to the pool is included in the price of a child's admission). The first 25 pre-registered will get a free pass for a future visit to Fairland's pool (up to a $6 value). Participants 8 + years old can enjoy the Wibit, an inflatable obstacle course in the water, for an additional $3 residents/ $4 non-residents. Crew 2013 is having an Open House for anyone interested in joining our org. We are focused on public service and leadership training...And fun events of course. Crew 2013 is a co-edventuring crew for 12-20 year-olds. We will be meeting on 4/19/17 at Western Tech HS room 210 at 6:00pm. 100 Kenwood Ave. 21228. Go to Crew2013.com for more info and rsvp at Join@crew2013.com . As the Baltimore area’s leading dementia conference for healthcare professionals and care partners, this comprehensive, full-day event will feature experts in the field who will present the latest in Alzheimer’s research and practical information on Alzheimer’s care. Heather Snyder, PhD, Senior Director, Medical & Scientific Relations with the Alzheimer's Association, will present the morning keynote address: State of Alzheimer's Disease Clinical Research: Moving Toward 2025. Herb Magley, who lost both his wife and father-in-law to Alzheimer’s disease after both were diagnosed in their early fifties, will present the afternoon keynote address: The Journey of an Alzheimer's Caregiver: Living, Loving and Laughing. Breakout sessions will cover such topics as Legal & Financial Planning, End of Life Care, Identifying and Supporting Caregivers in the LGBT Community, Managing Difficult Behaviors, Advocating for Your Loved One across Settings, Maryland-based Research, Sleep Disorders and Dementia and Hearing Loss and Dementia. The admission fee – $35 for care partners/students and $95 for health professionals who will receive social work continuing education credits – includes breakfast, lunch and conference materials. Additionally, respite care is available for care partners registered for the conference. 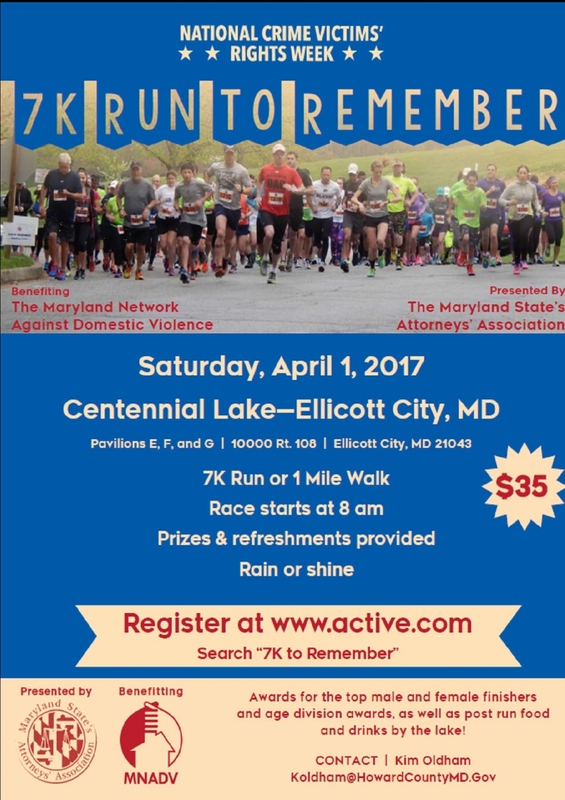 For more information or to register, visit bit.ly/2017/ADC, call 800.272.3900 or email info.maryland@alz.org. The Alzheimer’s Association is the world’s leading voluntary health organization in Alzheimer’s care, support and research. Its mission is to eliminate Alzheimer’s disease through the advancement of research, to provide and enhance care and support for all affected, and to reduce the risk of dementia through the promotion of brain health. Its vision is a world without Alzheimer’s®. Visit www.alz.org/maryland or call 800.272.3900. Baltimore, MD – Sagamore Spirit, a Baltimore-based whiskey company, opens its waterfront distillery on East Cromwell Street in Port Covington on Friday, April 21, 2017. The Sagamore Spirit Distillery campus sits on five acres of waterfront property on the banks of the Patapsco River. The 22,000 square-foot Distillery Building houses the world’s only handmade 40-foot mirrored finished copper column still, made by Vendome Copper in Lousiville, Kentucky. The still took twelve people 1,200 hours to make and is “continuous,” maintaining a constant state of distillation. The distillery features a 250-gallon copper pot still, used for research and development, seasonal releases, and new spirit expressions. The Distillery Building also holds nine 6,500-gallon fermenting tanks, an 8,000-gallon beer well, and a 6,000-gallon mash cooker – all made in the United States. The 27,000 square-foot Processing Building holds Sagamore’s state-of-the-art bottling line, barrel filler, and barrel dump trough. Ten 1,000-gallon proofing and gauging tanks reside on the second floor of the Processing Building, and unique spring-fed water from Sagamore Farm is added to each batch of whiskey during this process. The distillery will be open to the public for free tours during opening weekend on April 21 – 23. Tours will be available from 10:00 a.m. until 6:00 p.m. with the last tour beginning at 5:00 p.m. Guests will have the opportunity to taste three different expressions of Sagamore Rye and learn how Sagamore Farm spring-fed water is used to cut their 13-time award winning whiskey to proof. Each tour can accommodate up to 24 people of all ages (must be 21 years old to drink) and will last about an hour. Regularly scheduled tours will begin on Monday, April 24 and will cost $15. Tours can be booked online through the Sagamore Spirit website. Sagamore Spirit expects to welcome more than 100,000 visitors annually at its retail and visitor center for daily tours and tastings. The distillery campus will also include a two-story restaurant and event space, scheduled to open this fall. Sagamore Spirit Straight Rye Whiskey is an American whiskey made with pure spring-fed Maryland water. Sagamore Spirit Rye has a unique mash bill and proofing process. The distilling team blends two different straight rye whiskeys – a high rye and a low rye – and then adds pure limestone-filtered spring water transported 22 miles from Sagamore Farm, to create an 83 proof Maryland-style rye whiskey. 100 percent of Sagamore Rye is cut to proof with this distinct water. Sagamore recently released a Cask Strength whiskey that is 112 proof. Sagamore Spirit is committed to putting Maryland back on the map as the premier distiller of rye whiskey. Spend the day admiring hundreds of vehicles polished to perfection at Adventure Park USA's 8th Annual Car, Truck and Motorcycle Super Show! Outdoor rides and attractions will be open for guests to enjoy a day of fun at the park. Participants can enter their car or truck in the show online on Adventure Park USA's website. Event Benefits : New Market Volunteer Fire Company Event Surface : Blacktop Entertainment : DJ (Gregg Todd) Food : May be purchased from the Chuck Wagon Café (Pizza, Hot Dogs, Chicken Nuggets, French Fries, Sodas, Funnel Cakes, Soft Pretzels, Dippin Dots, Icee’s and Soft Serve Ice Cream. Come celebrate the BIG Outdoors at the Caitlin Dunbar Nature Center located at Camp Ilchester, 5042 Ilchester Road, Ellicott City, MD 21043 This Earth Day tribute is a wonderful day out for your troop or family. Come meet raptors from around the world; observe campfire cooking; explore nature trails; see native Maryland plants; hear traditional Girl Scout songs; climb a rock wall (grades 2 and up); see snakes, turtles, honey bees and other animals in our nature center; visit our natural art exhibit featuring works from area Girl Scouts; and so much more. Try your hand at archery (grades 4-12 & adults) and/or gem mining, both for additional fees. Refreshments and other merchandise will be available for purchase. Bring your Girl Scout and non-Girl Scout friends! Remember, nothing is bigger than The BIG Outdoors Event. Save up your appetites for the Pikesville Chamber of Commerce’s signature event- Taste of Pikesville- on April 26th, from 6:30-9:00PM. Highlighting Pikesville and surrounding areas, this casual night of food, festivity and fun will feature signature dishes from 45+ restaurants and caterers, along with complimentary beer, wine and cocktails, music, raffle prizes, the People’s Choice and celebrity judge competitions and other surprises. To date, participating vendors include Simply Elegant Catering @ Grey Rock, Ruth’s Chris, Linwoods, Mezcal, La Food Marketa, Citron, DoubleTree by Hilton, Eleven Courses, Gourmet Again, Island Quizine, McDonald’s, North Oaks, Wegmans, U Food Grill, Dessert @ Jessica’s, For the Love of Food, Saval Foods, Baltimore Whiskey Co., Linganore Wines, Great Shoals Winery and Bond Distribution. Adding to the fun, the Taste’s inaugural VIF – “Very Important Foodie” pre-reception will kick off at 5:30 p.m. This intimate gathering will offer beers specially paired with delicacies from the top award winners at the 5th Annual Taste of Pikesville. Guests can meet the chefs one-on-one, mingle with the celebrity judges and enjoy early access to the main event. Proceeds from the Taste of Pikesville will support the Baltimore Hunger Project a 501(c) 3 non-profit charity that feeds hungry children on weekends during the school year. The remainder will support the Chamber’s efforts to improve Pikesville by hosting programs and events to attract more people and businesses to the area. Taste of Pikesville admission – at $48/person in advance and $55/person at the door – includes a raffle ticket, goodie bag and complimentary valet parking. VIF admission – at $70 before Apr. 19 and $80 from Apr. 19 to 25 – includes admission to and all the perks offered at the main event, as well as 3 additional raffle tickets. To purchase tickets or learn about vendor or sponsorship opportunities, visit www.tasteofpikesville.com or call the Chamber at 410.484.2337. Welcome to the HopeWorks of Howard County Hope Bowl site! Hope Bowl is a family friendly event where teams compete while raising awareness and critical funds for victims of sexual and domestic violence. In addition to bowling, the event will feature music, refreshments, raffles, contests and great prizes throughout the night! All proceeds from the event benefit HopeWorks' programs and services.